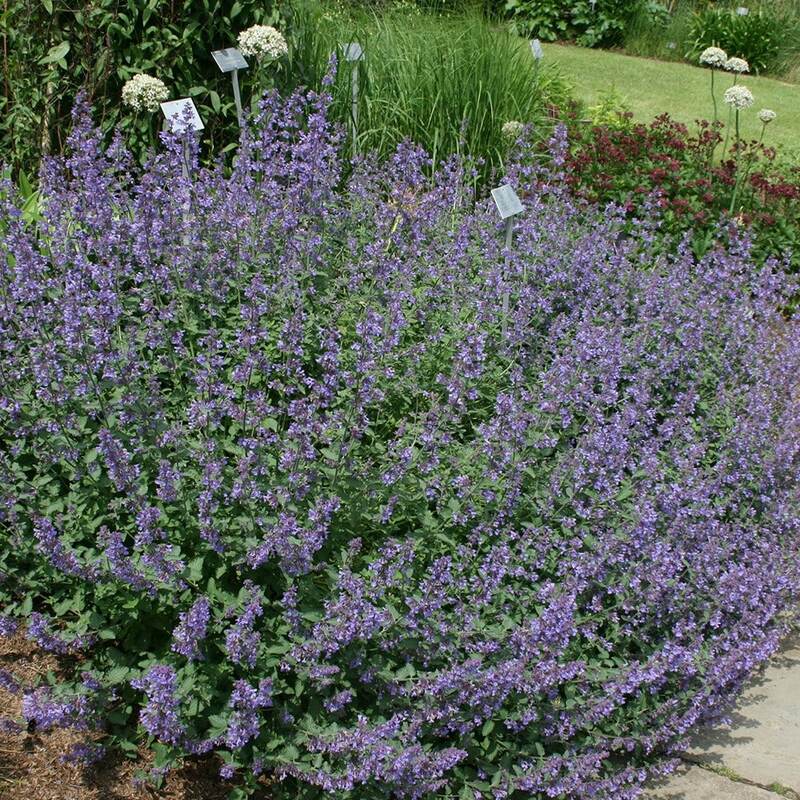 Buy Nepeta racemosa 'Walker's Low' catnip: Deep violet to lilac-blue summer flowers and aromatic mid-green leaves. Deep violet to lilac-blue summer flowers and aromatic mid-green leaves. 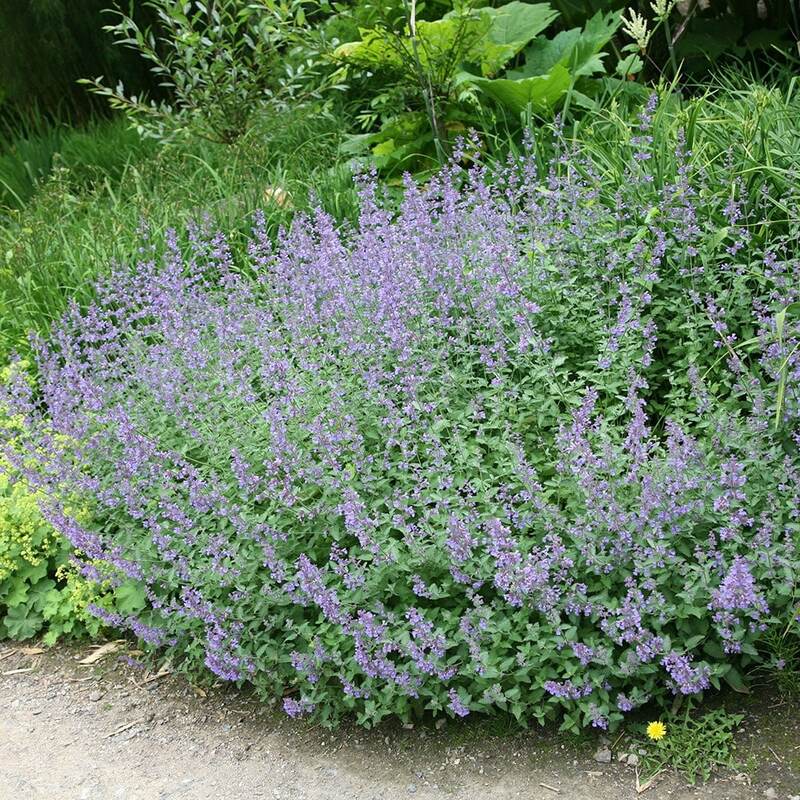 This violet-lilac catmint makes excellent, long-flowering, groundcover for a sunny border. Clipped back after the first flush in June, it flowers through to early autumn. Useful as an informal, scented edge for paths as, when trodden on, the foliage releases a pleasant aroma. Garden care: Lift and divide large clumps in spring, replanting divided specimens with lots of well-rotted organic matter. It is long-flowering, lovely smell and the bees love it! This is a plant that I will always have in my garden as it is attractive, long-flowering, fragrant smell and the bees are drawn to it. This was a well grown beautiful plant which I grew by the edge of the patio wall so I could brush my hands on it to capture the scent. I love it. Unfortunately although I have grown catnip before and neighbouring cats have never bothered with it - here our neighbours don't even have cats - and yet by autumn one had appeared that just loved to roll in it so I ended up trying to protect it with short sticks. So if you want to give a cat a treat this is the one! Bees love it and it's long flowering. Mixes well with all colours in the border. Not as big as some nepetas, so good for smaller borders. I grow on chalk soil in the South, so has been fully hardy in my garden. Long flowering season, but can cut back after first flowering to give another flush of flowers later in the season.